Hi all. 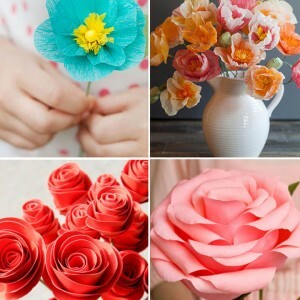 Before we get to today’s tutorial I want to let you know I’m participating in a fun guest post extravanganza hosted by Sugar Bee Crafts. 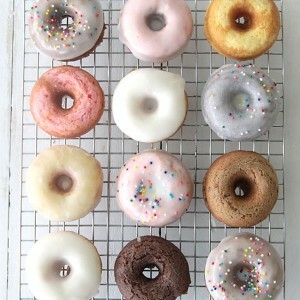 Every day for the next few weeks she’s linking to four different red-white-and-blue guest posts, and today’s project is one of them. Click on over to see the three other projects for today and keep checking back for four projects each day! Supplies: Cost of supplies is about $20, including two types of adhesive. If you already have adhesive on hand, cost is quite a bit less, and making additional launchers would only cost $5 or so. Start by cutting a tire valve out of an old tube (or purchasing a tire valve). Cut the rubber at the base of the valve so it fits inside an end cap. Drill a hole in the end cap just large enough for the valve to fit through. Place barge cement inside the end cap and on the valve, pull it tight through the hole. Set aside for a few minutes to dry. (This is the hardest part, and it’s not even that hard). 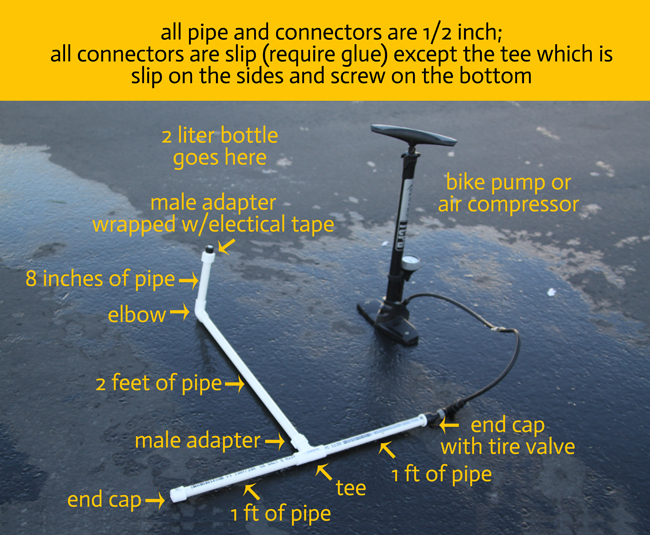 Now you can attach a bike pump or air compressor to the tire valve. 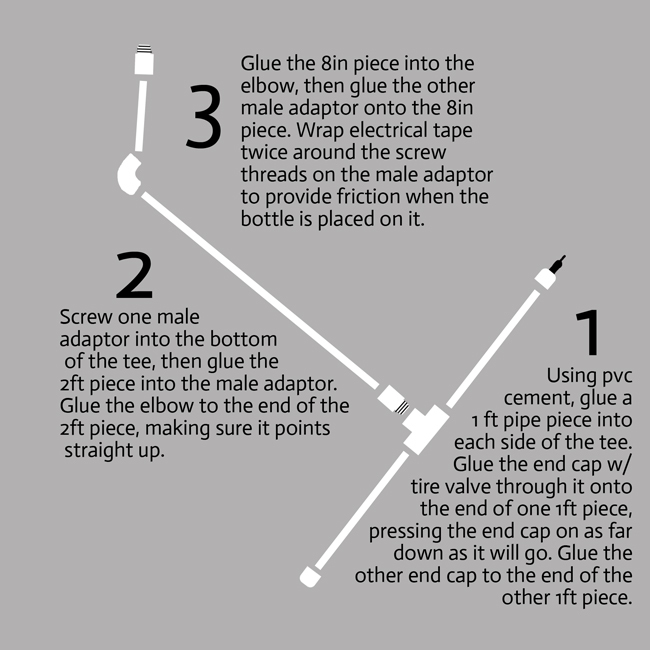 Then fill a 2-liter bottle about 1/3 full of water and place it on top of the tape wrapped male adaptor – twist it on to get a pretty good seal. Start pumping air in and wait for the bottle to explode off the launcher, shooting up into the air and spraying everyone with water. Then the laughs will begin! 1 – we couldn’t find barge cement at Home Depot (it is available on amazon) so we used a different glue to attach the tire valve to the endcap. The seal wasn’t perfect, which means air escaped around the tire valve, making it harder to build up enough pressure for a launch. We ended up wrapping that end cap and tire valve tightly with electrical tape to keep a tight seal and that worked just fine. 2 – keep small children away from the launcher. The bottles shoot up pretty fast, so you want to make sure no one gets injured. If you push the bottle pretty firmly onto the launcher no one needs to be touching it while air is getting pumped in. 3 – the electrical tape will begin to get all smooshed up after a few launches, so you may need to take it off and wrap more on occasionally. 4 – kids can decorate their own bottles and add fins on the sides, but DO NOT put cones on the top to make them look more like rockets – these fly very high and you don’t want anything pointy heading back down at you. 5 – how high the rockets fly depends on how tightly you twist them down onto the launcher, how much water is in them, and how quickly you can build up the pressure necessary to pop it off – let kids experiment to see what the best combination is. 6 – my 10-yr olds were able to launch the rockets on their own, but my 5-yr old wasn’t quite strong enough to do so with the bike pump, so plan to help younger kids. 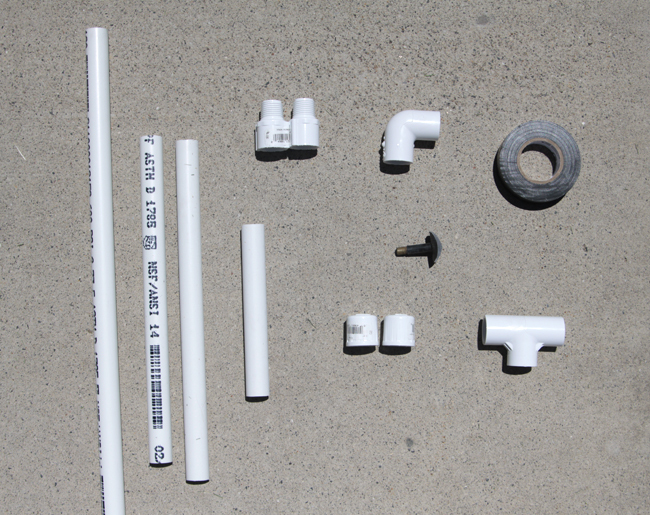 7 – you can unscrew the launcher at the tee for storage. Awsome and so much fun!!!!! This is perfect for these days!!! This is great!!! I have a nine year old that would LOVE this! I love the video of your family watching the launch! Oh my word!! What fun!! I will have to make this with my kiddos… They would absolutely love this!!! Great post! 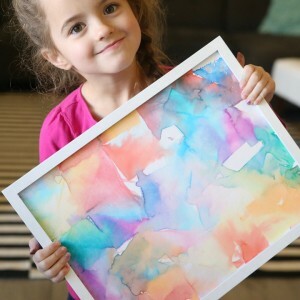 What a creative and fun project! I’d love it if you would bring this over to my Saturday Spotlight party to share. 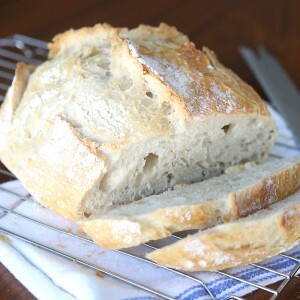 http://angelshomestead.com/saturday-spotlight-23/ Hope to see you there! Thanks for the detailed description and video of how it works! My family and I were at our neighborhood picnic where an elderly gentleman had brought some fantastic stomp rockets. The setup was empty 2 liter, about 4 feet of what I believe was 1/2″ PVC (please measure for yourself since I haven’t yet) that fit loosly into the neck of the 2 liter bottle. The rockets were a sheet of paper rolled into a tube, paper fins on both sides formed by attaching a small rectangle of paper along the centerline and folding the edges out, and a foam tip (I heard you can also use a cotton ball taped over the top. My 5 year old was launching that rocket 50 feet or so! The gentleman had made extra rockets send home with the kids. We were laughing on the way home that the only time we drink soda at home is when we need a bottle for a project. How interesting, it must be a lot of fun! Wow, what a fun idea. thanks! 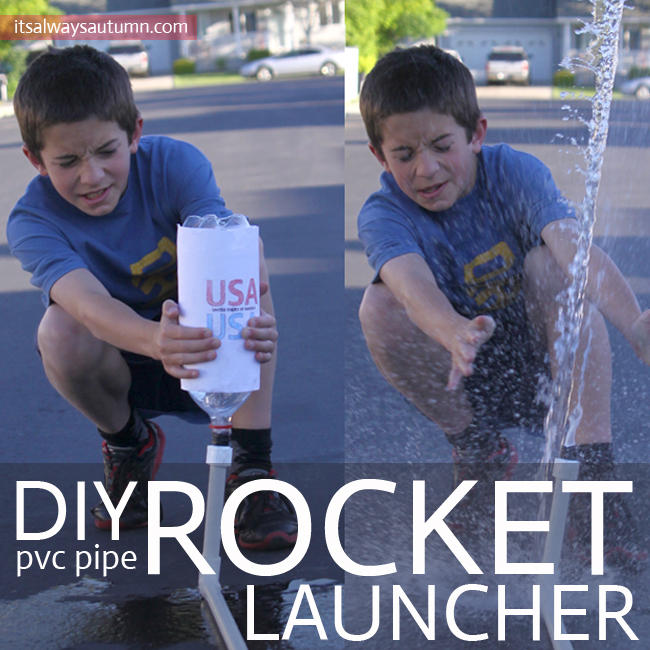 Very good tutorial how to make a pipe rocket launcher! It looks a great to pass the time and have fun!